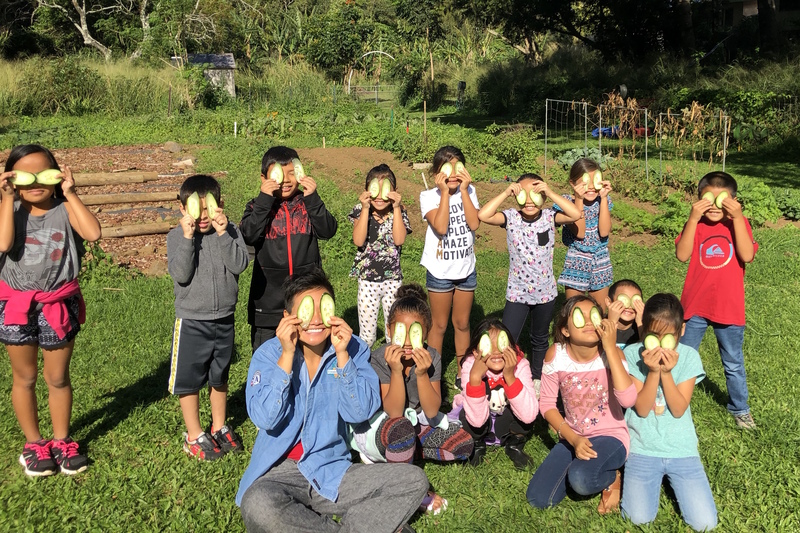 Students at Kohala Elementary School show off fresh cucumbers they harvested in their school garden with FoodCorps service member June Guo. PC: Kohala Elementary School. The national FoodCorps program is currently accepting applications from emerging food justice leaders for the 2018-19 school year. 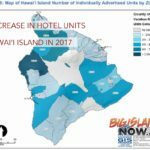 Service member positions will be available on Hawai‘i Island, as well as in communities in 16 states on the continental U.S. and in the District of Columbia. The organization seeks up to 230 men and women with a passion for serving their communities, a commitment to social justice, and an interest in jump-starting their careers. 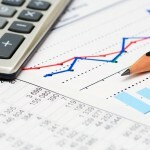 More information about the program and applications are available online. The deadline to apply is March 15, 2018. FoodCorps connects children in limited-resource communities to healthy food in schools in an effort to reduce childhood obesity and diet-related diseases. Selected service members dedicate one year of fulltime, paid, public service in school food systems, teaching hands-on lessons in growing, cooking and tasting food; collaborating with food service staff to steer students towards the healthiest options in the cafeteria; and working alongside school administrators and teachers to foster a school-wide culture of health. FoodCorps provides valuable skills and training to service members who go through the program, setting them up for careers in school food, public health, and education. Benefits of AmeriCorps service include an $18,250 stipend, healthcare, training and a $5,920 education award. The Kohala Center, a Hawai‘i Island-based nonprofit organization, has served as the state partner for the FoodCorps program in Hawai‘i since 2013, providing resources and professional development support to service members, teachers, and school administrators to 24 service sites on Hawai‘i Island, Moloka‘i and O‘ahu. FoodCorps partners with community organizations and schools to address the root cause of childhood obesity and diet-related diseases: a lack of access and connection to healthy food. 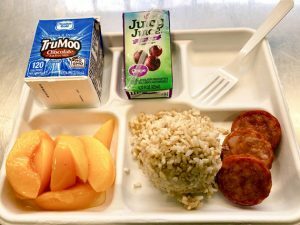 More than half of Hawai‘i’s public and charter school students qualify for free and reduced-price meals—an indicator of family food insecurity—and Pacific Islander children experience higher rates of diet-related diseases than their peers. Because America’s most vulnerable children consume a majority of their calories at school, FoodCorps seeks to improve children’s nutrition by expanding school garden programs; increasing procurement and consumption of fresh, locally grown food in schools; and conducting cooking lessons that incorporate fresh, healthy, and affordable ingredients. In its first seven years, FoodCorps has brought important progress to the schools it serves, demonstrating measurable change to children’s eating habits and helping the schools it partners with become healthier environments. 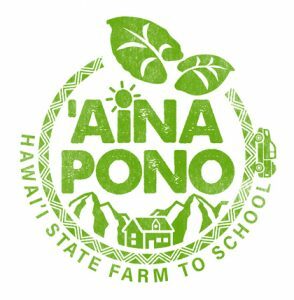 Hundreds of its AmeriCorps service members have introduced new healthy recipes into cafeterias, built and taught in hundreds of school gardens from Hawai‘i to Maine, and engaged thousands of volunteers and parents in their efforts. FoodCorps is a nationwide team of AmeriCorps leaders who connect kids to healthy food in school. FoodCorps places these leaders in limited-resource schools for a year of public service where they teach hands-on lessons in growing, cooking and tasting food, collaborate with food service staff to steer students towards the healthiest options in the cafeteria, and work alongside school administrators and teachers to foster a school-wide culture of health. Founded in the year 2000, The Kohala Center is an independent, community-based center for research, conservation and education. We turn research and ancestral knowledge into action, so that communities in Hawai‘i and around the world can thrive—ecologically, economically, culturally and socially.